If you subscribe to the theory that there’s multiple universes with infinite possibilities, I’d really like to see the one where Shaun Livingston didn’t get hurt. There hasn’t been many point guards with the physical tools that Livingston has. At 6’7’’, he can legitimately guard 3 positions. His 6’11’’ wingspan torments opposing players out on the perimeter. Livingston is a defensive asset that the Warriors have made great use of. On offense, if there’s a point guard being put on him, he can easily back him down or pull up for a midrange jumper that can’t be contested. He’s a matchup nightmare, and even though he never developed range out to the 3-point line, his midrange shot is fantastic, and he’s not going to force attempts that he has no business taking. It’s easy to see shades of Penny Hardaway when looking at Livingston, which is simultaneously an uplifting and devastating comparison. Each one is a lanky 6’7’’ with excellent court vision who came into the league with an abundance of athleticism. The fact that injuries drained each one of so much of their physical quickness is terrible, because they each had the potential to revolutionize the point guard position. It’s kind of like what Cal Ripken, Jr. did for shortstops. Ripken was 6’4’’, and towered at his position compared to his contemporaries. After him, it wasn’t as strange to have powerful, gigantic shortstops like that. Derek Jeter was 6’3’’. Alex Rodriguez was 6’3’’. It’s still very rare to see point guards at 6’7’’, which almost adds to the mystique in a way. It’s a little more ambiguous with Livingston, just because it feels as though we didn’t get to see him at his peak. Hardaway made 4 All Star teams and 3 All-NBA Teams. It certainly didn’t last as long as we all hoped it would, but at least the greatness was evident, no matter how brief. I feel like Livingston got robbed of his multiple all star games. The culprit ended up being the left knee, which coincidentally was the injured area that catalyzed Hardaway’s fall from elite NBA point guard. The question of how good Livingston could have been in enduring, especially with how he has been able to reinvent himself since. 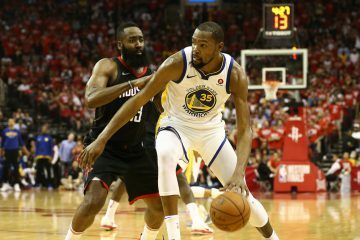 Perhaps it indirectly accelerated his cerebral growth as a leader out on the court, and forced him to rely on other aspects of his game to be successful. Still, it’s intriguing to ponder where Livingston could be right now if this savviness was in his pre-injury body. It’s why I’d be really curious to take a peek at that alternate universe, and sit courtside at some Clippers games. Livingston was born in Peoria, Illinois, and wasn’t a late bloomer by any stretch of the imagination. He was really good right away. He played high school ball at Richwoods High School for two years before transferring to Peoria Central High School, which is where he first started receiving some serious accolades. He lead Peoria to Class AA state titles in 2003 and 2004, and the latter year was named Illinois Mr. Basketball. Illinois has an extremely rich history of high school ball. Past winners of Illinois Mr. Basketball had included Nick Anderson, Kevin Garnett, Darius Miles, and Eddy Curry. Livingston was a part of the 2004 McDonald’s High School All-American game, and was listed by Rivals.com as the top point guard prospect in the country and the 2nd overall prospect. Only Dwight Howard was ranked above him. Livingston committed to attending Duke, but instead opted to enter the NBA draft straight out of high school. The Los Angeles Clippers drafted him 4th overall in the 2004 NBA Draft. He saw time at both guard positions for the Clippers in his first two seasons, but it was that fateful 3rd season that changed the course of his NBA journey. He was averaging career bests in points per game at 9.3 and assists per game at 5.1 when a devastating knee injury occurred. It was so bad that doctors apparently told him that there was a chance that his lower leg would have to be amputated. It’s one of the most gruesome injuries I’ve ever seen. The leg was horrifically shattered. The ACL, PCL, and lateral meniscus were severed. His MCL was badly sprained, and his patella was dislocated. This was in February of 2007, and at that time, it looked questionable as to whether Livingston would be able to just have his leg function again, let alone play professional basketball. He missed the entire 2007-2008 season rehabbing, and his Clippers contract expired once the 2008 offseason hit. Livingston was cleared to resume basketball activities in June of 2008, almost a year and a half after his knee injury. The Clippers didn’t make him a qualifying offer, and he became an unrestricted free agent. The Heat signed him in October of 2008, but he would only play 4 games with them. He bounced around the next few seasons trying to once again establish himself in the league. After the Heat, he had stints with the the Thunder and Wizards via D-League call-ups and 10 day contracts. He was still on the periphery of the basketball world until the offseason of 2010. The Bobcats were impressed enough with his previous season in Washington to agree to a 2 year, $7 million contract with him. He played 73 games that season for the Bobcats, which was encouraging from a durability standpoint. He was then traded to the Bucks, and started 27 out of 58 games he played for them. Livingston had yet to find any stability, though. From 2011-2014, Livingston played for 6 different teams, but it was clear that he was getting better. He averaged 7.2 points per game during the 2012-2013 season with the Cavaliers, and then 8.3 points per game with the Nets in 2013-2014. Livingston was providing solid defensive play and great leadership wherever he went. 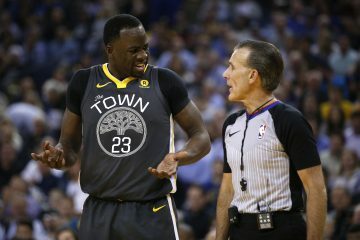 The Warriors signed him during the 2014 offseason, and he’d prove to be a vital part of their championship team as well as their 73 win team. The versatility he provides makes him extremely valuable off the bench. Even when he’s forced to start, he gives them a solid contribution. 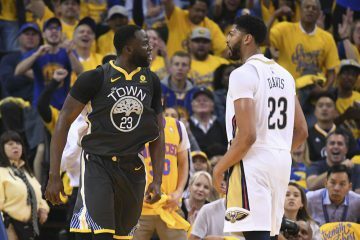 When Stephen Curry was injured for those couple weeks during these most recent playoffs, a huge reason why the team was able to keep on track the way they did was because of the play of Livingston, who took his place. What a lot of people forget about the game 4 in Portland when Curry went off in overtime was that Livingston had been ejected earlier in the game, which made Curry’s presence all the more crucial. Livingston is one of the calmest guys out on the court, so it was really surprising to see a ref go as far as to throw him out of a game. 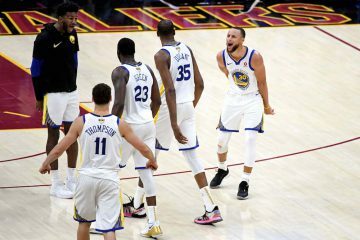 Livingston probably had his best performance of the 2016 playoffs in game 1 of the NBA Finals, when he and Leandro Barbosa picked up the slack from the starting guards who were struggling. Livingston was having his way on offense. Every time he pulled up from midrange, it seemed like there was no doubt the ball was going in. He went 8-10 from the field with a team-leading 20 points in that game 1 victory. 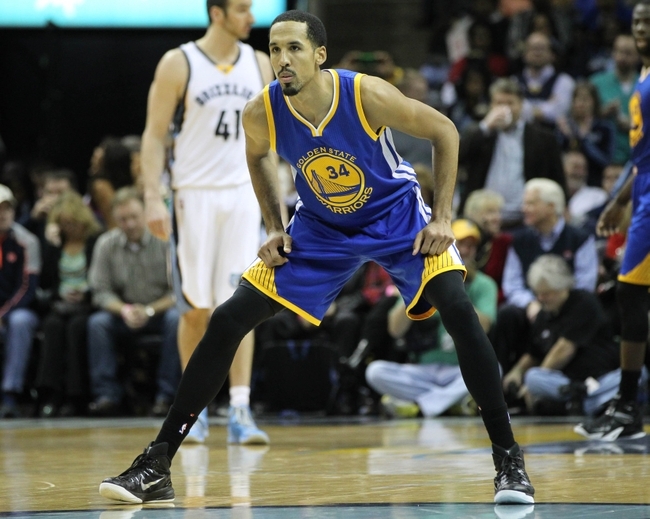 “Strength in Numbers” has been the Warriors’ motto, and Livingston embodies it. The fact that Livingston is playing in the NBA at all after his injury is miraculous, let alone thriving as one of the most important cogs in what makes this team so great. The perseverance for him to get to this point is remarkable. The Warriors enjoy his defense, passing, and midrange shooting off the bench. When he comes into the game, everybody knows he’s going to take care of business with his understated style. Livingston is a big reason for the success this team has been able to achieve.